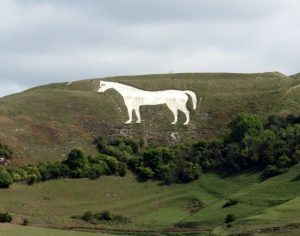 Birth date and place c. 1822 Westbury, Wiltshire, England. Physical Description Height: 5 ft. 7 ins. Complexion: dark. Eyes: hazel. Hair: dark brown. Children James Joseph b. ?, outside Western Australia. 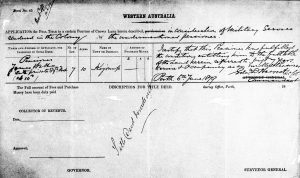 Death date and place 10 Jun 1882 Kojonup, Western Australia. Cause of Death: Inflammation of the lung, hastened by exposure to wet and from drink. Coroner’s Inquest 13 Jul 1882. Burial date and place Kojonup Cemetery, Western Australia (to be confirmed). Regiment No. and Rank #1632 Private. Attestation date and place 18 Mar 1840 Gosport, Hampshire. Service/Campaigns North America from 16 Jul 1842 to 26 Apr 1847, 4 years 9 months. Gibraltar from 1 May 1854 to 14 Dec 1854, 8 months. Crimea from 15 Dec 1854 to 4 Jun 1856, 1 year 5 months. Gibraltar from 6 Jun 1856 to 15 Sep 1856, 3 months. Cape of Good Hope from 16 Sep 1856 to 10 Sep 1857, 1 year. East Indies from 11 Sep 1857 to 1 Feb 1859, 1 year 4 months. Musters 1841 Clonmel & Carrick on Sur [WO12-9129]. Regimental Courts Martial At Quebec on 25 Aug 1845, tried for absence without leave and habitual drunkenness. Found guilty and sentenced 40 days Hard Labour and deprived of 1d. per diem for 6 months. In confinement 19 Aug 1845 to 2 Oct 1845. Forty-two times entered in the Regimental Defaulters Book. Discharge date and place 28 May 1861 Fermoy Barracks. Length of Service 21 years 27 days. Post Discharge Residence Parsonstown, Kings County. Post Discharge Pension District Birr (1861). Western Australia (1865). 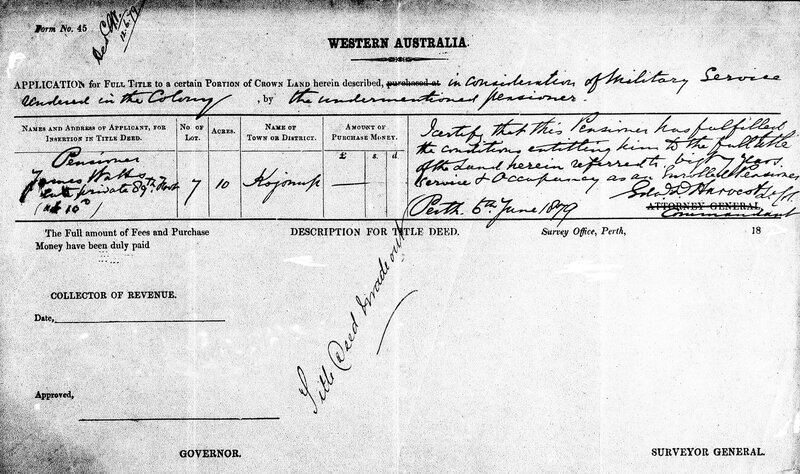 Land Grant/Purchase 6 Jun 1879 Kojonup Loc. 7, 10 acres (grant). Title issued. 18 May 1868 grant approved for cottage. Misc. Newspaper Articles Western Australian Times 7 Jul 1876. The Herald 8 Jul 1876 (see sidebar). Inquirer & Commercial News 12 Jul 1876. 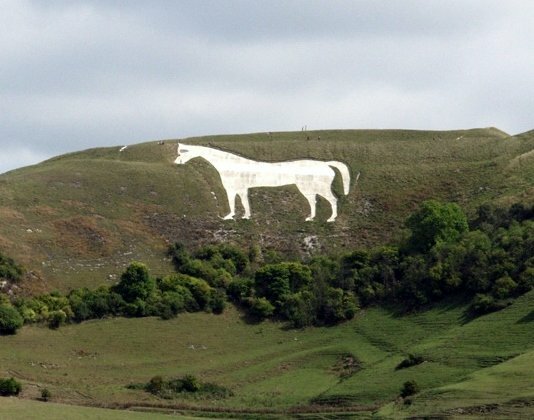 The oldest and largest of the Wiltshire white horses, located on Westbury Hill.